The Heliopan 58mm Digital UV-IR Cut Filter has been specifically designed for use with digital cameras and blocks UV and infrared radiation in order to achieve greater color separation and more accurate color reproduction. By passing only the visible spectrum, digital capture is more accurate when photographing in artificial lighting conditions. Blocks UV and IR radiation for improved color separation and accurate reproduction. Specifically designed for digital imaging sensors when working under artificial lighting. 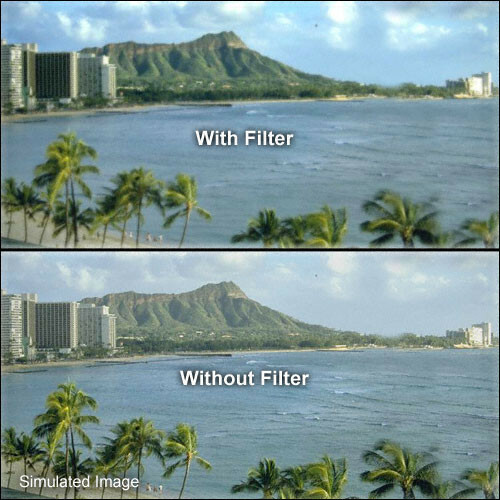 58mm Digital UV-IR Cut Filter is rated 5.0 out of 5 by 2.